Hank overheard that Louisville will be a stop on the 2007 American Iris Society Region 21 Median Iris Tour. We have a small almost started iris garden in town, (not yet official), that has been recognized and now will be part of the tour! Brad Cundall and Kaline Carter own and operate the garden. Brad came in today and asked Maureen, BUILD Presentation Committee Chair, if it would be okay for him to plant iris around the Louisville sign for blooms in the spring! She told him to go for it! Another feather in the cap of our small City, and another tribute to the quality of folks that we have here for our neighbors!! Look out Louisville, it is that time again to meet at the Fire Station for the best darn Fish-Fry South of the Platte! For you newbies, that have not been to the Volunteer Fire Department Fish Fry, well... you have got a treat in store for you! Our brave Volunteers, fry up that fish and serve you a bunch with slaw and fixins, and you get a chance to dine with all your neighbors and support the Fire Department in one of their most important annual fund raising activities. Mark it on your calendar, everybody will be there! Make plans now to attend the Alumni Banquet, which will be held on May 28,2005. It will be held again at the Louisville High School Gymnasium. Watch for details coming soon and start gathering your classmates for special class recognition. The Banquet is what we want to make of it. The committee has done a terrific job the past few years, and each class can make it better by working with their own class to attend. Hope to see you there. The deadline for submitting tree-planting applications is nearing. OPPD is encouraging nonprofit groups, organizations and area schools to consider new tree-planting projects that can be undertaken this year. Through its Tree Promotion Program, OPPD sponsors such projects for community groups, schools, nonprofit organizations and clubs in its 13-county service territory. OPPD hopes to see a wide assortment of projects from every part of OPPD's service area. These types of projects can really make a difference in a community, especially our rural communities, and OPPD would really like to see more of them apply. Started in 1990, the Tree Promotion Program has helped plant more than 100,000 trees and shrubs, helping to beautify public property and conserve energy. The program also promotes the proper selection, placement and maintenance of trees, especially around overhead power lines. To qualify for a tree-planting sponsorship, applicants must submit an application, complete with a planting plan that meets program guidelines. Those interested can obtain an application and a copy of the guidelines by calling 1-877-536-4131 or from OPPD’s website. (http://www.oppd.com). The deadline for applications is March 15.
get a loan, build a house then buy some firewood! Frying Up the Good Stuff! But things are starting to pick up. 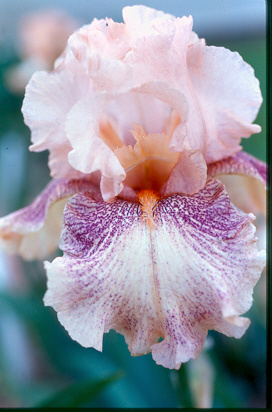 I heard that Auctioneer guy talking about Iris's and I KNOW that the mouses just love Irises, so I got THAT to look forward to! Now FREE you can visit the hardware store and request to pet The Cat! Being a Cat, and all, I get to hear All the latest news and what folks are thinking about. That Ol' Dan Henry is sure a hard working son of a gun. People just can't say enough about how nice and sharp this Ol' river town is looking these days. Every time you look up, there goes Dan and his City guys, sprucing up Main Street, or along the Highway. Makes a Cat proud to be a Lion!